Diagnosed with autism at age two, he has been in both orthodox and alternative therapies for the past several years. Possessed of an uncanny ability to communicate with animals, he has much to teach us. Michel draws much of his inspiration from the study of native cultures, indigenous crafts and a desire to connect with the root of humanity through wilderness studies. Traveling from Bolivia to Namibia, Mexico to Mongolia, his films reveal how affected he is by simple human relationships and family dynamics while his background in dance is reflected in his use of movement and framing as metaphor in film. Rita began her career by editing television news on tape-to-tape machines and has since cut on five feature films and many shorts, industrial videos and music videos. 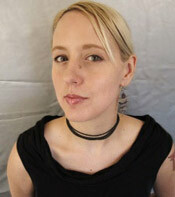 Her work includes "Slam Planet: War of the Words" which garnered an audience award at SXSW 2006. Rita has also edited video extensively for many non-profit groups including Grrl Action, The Austin Browncoats, and the Governor's Committee on People with Disabilities. Lili Hayden is an internationally known violinist, singer, and recording artist. She has released three critically acclaimed major label cds and has had legendary collaborations with the likes of Pink Floyd, Herbie Hancock, and George Clinton. The lush and emotionally honest film score she created in collaboration with Kim Carroll, award winning composer and guitarist, is her first. This is a deeply moving, truly one-of-a-kind story of a family willing to go to the ends of the earth to help their son's autism, and of a boy learning to connect with the world for the first time.